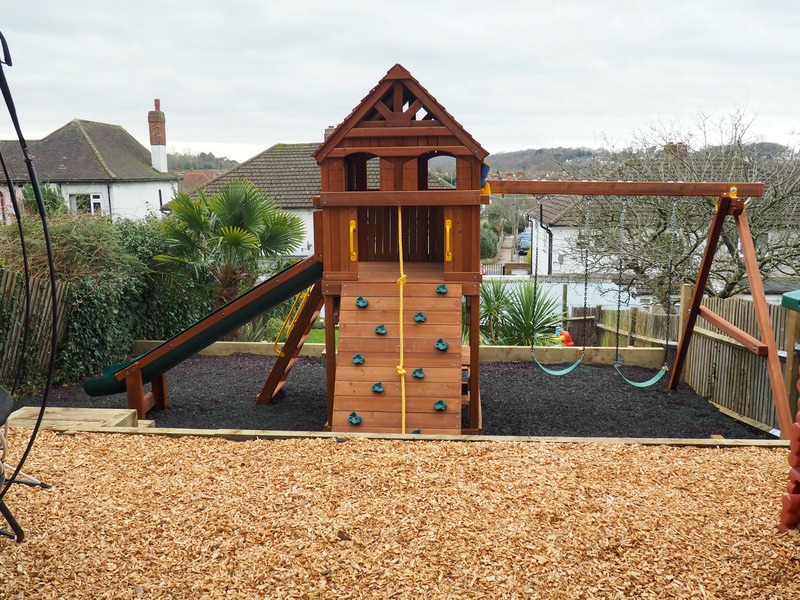 It’s been just over a year now since we had our Rainbow Play climbing frame installed in our large tiered garden, and it may sounds like a strong statement but it has totally transformed for the better the way that we as a family, and particularly the children, use it. 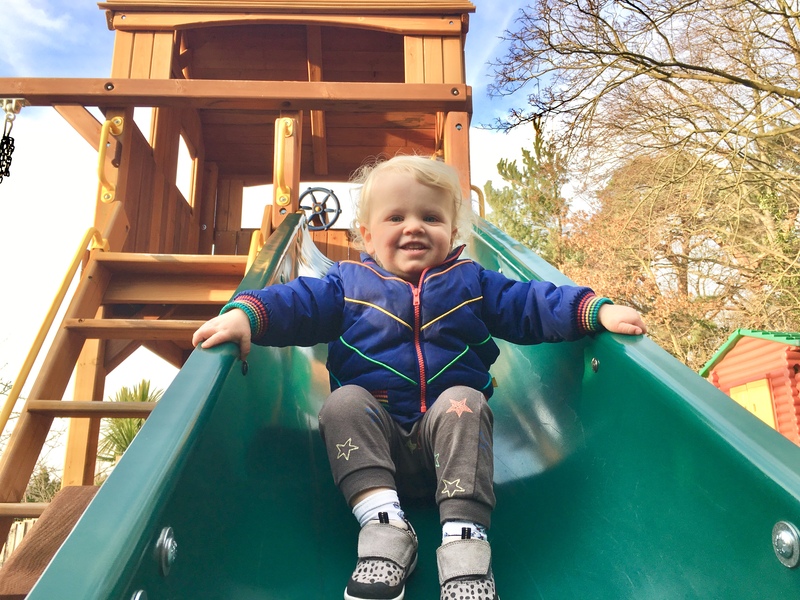 I knew that over the dryer, summer months that all 3 children would be out playing on it a lot, but what has really sealed the deal and made the climbing frame a very welcome extended member of our family, is just how much over autumn and winter it was still made use of. 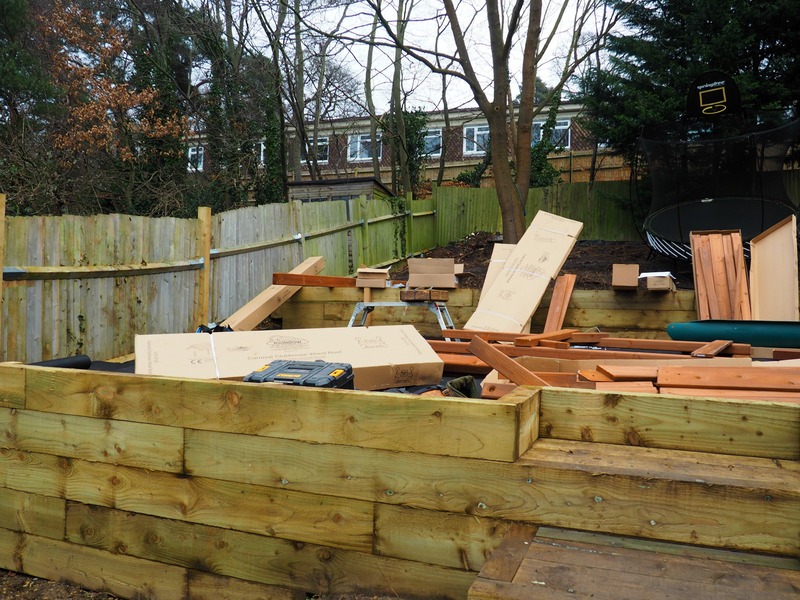 What I like about our garden now, as opposed to the usual grass that was previously there, is that the all weather rubber chipping that we had put down at the same time as the climbing frame has been a total game-changer. 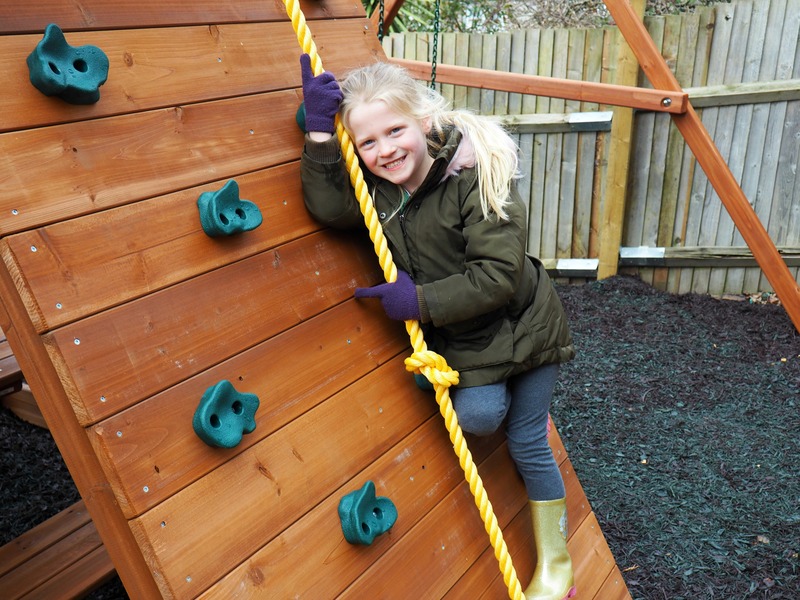 No muddy feet or getting absolutely filthy every time a child steps foot in the garden – it has meant the kids can play wrapped up warm and use the climbing frame in all weathers. 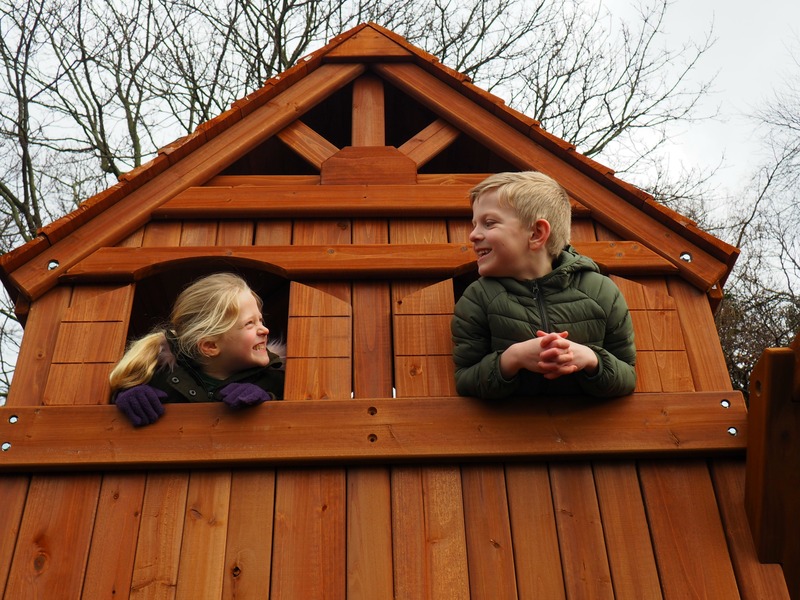 So what has been a big hit when it comes to our climbing frame, and what, perhaps, has not? 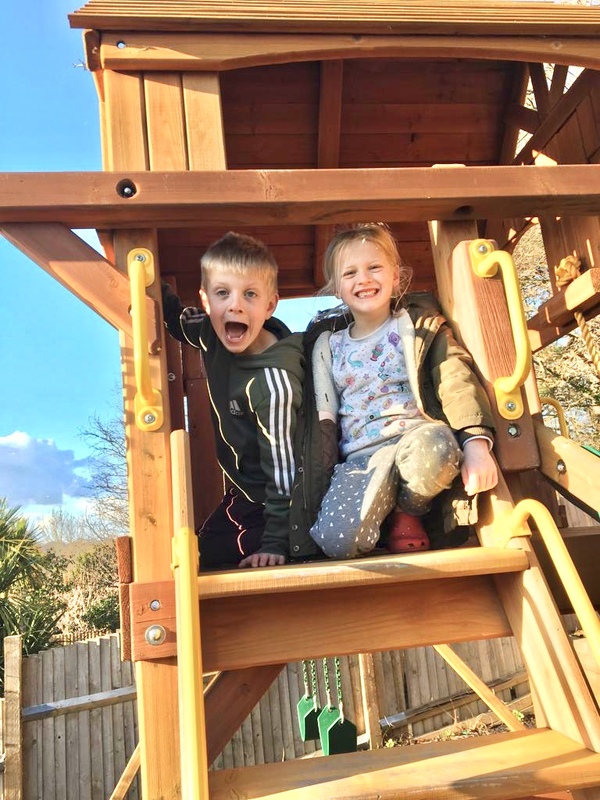 I would say that the most used part of our climbing frame is the swings- both the two that Freddie and Sasha use, as well as Arlo’s baby swing (something I’m so pleased we had installed as an added ‘extra’). 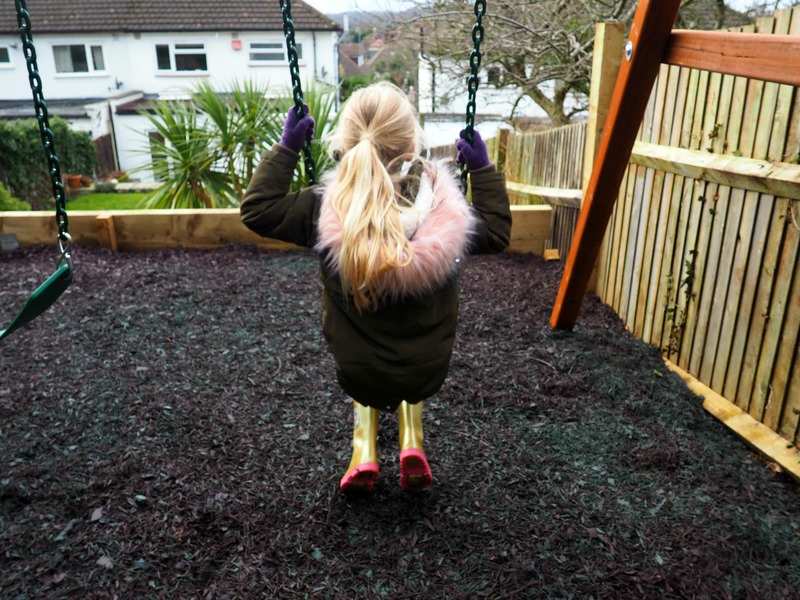 The big kids will spend ages outside on the swings, either together or with friends when they come round, and they’ve been easy to adjust height-wise as the children have grown a couple of inches this past year. 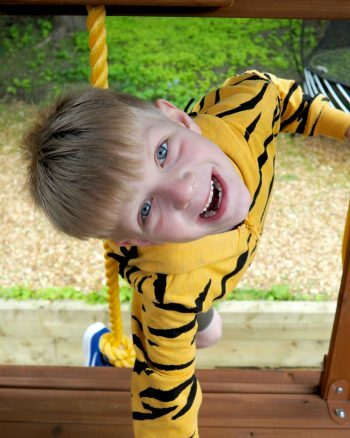 Arlo absolutely LOVES his swing, although this has meant that we haven’t been using the yellow rings and bar that can go in this space as much, but I’m sure they’ll come into their own once Arlo has outgrown his swing. 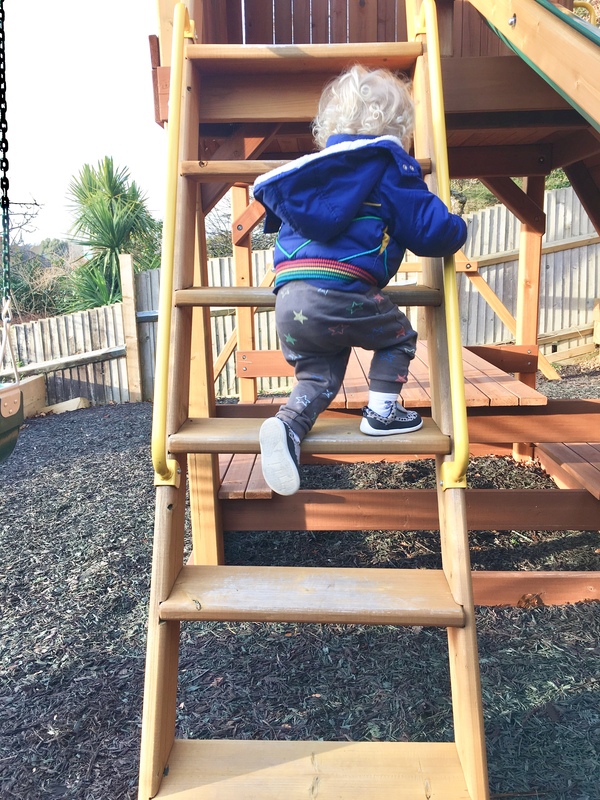 Freddie doesn’t use the slide as much as Sasha (who loves it), and now Arlo is a bit bigger and can master the steps he’s really making the most of it too- so much so that I think we’re probably going to bypass the small slide that we have in the garage and just make sure he’s supervised on this one. After all, once you’ve got a good thing going on with a bad boy this size, why would you downsize?! I think he’s enjoying it! 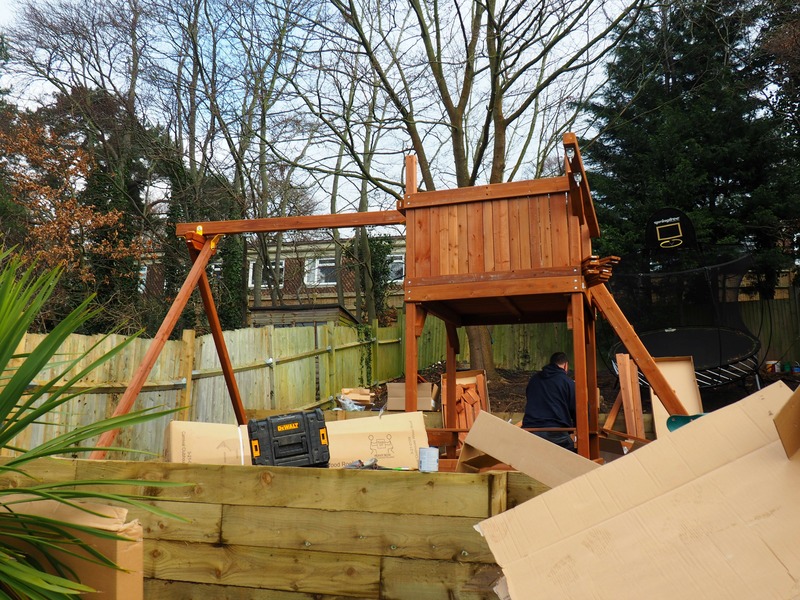 The children have used the platform and telescope more that I thought they would actually, and incorporate it a lot into their adventure games. The picnic table has been used in the better weather for tea times outside, especially when friends are over (anything that keeps the mess outside is a winner for me! ), and I’m looking forward to more dinners al fresco now we’re heading into spring. 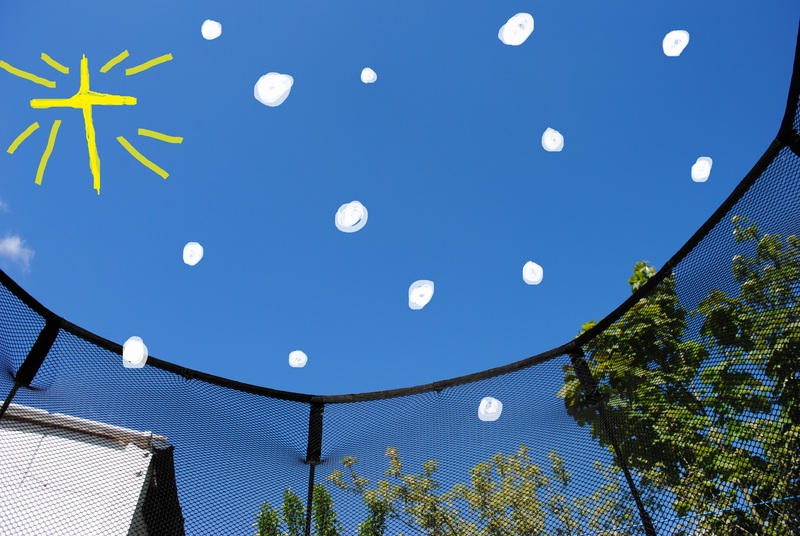 In our garden the climbing wall perhaps hasn’t been used as much as I thought it might be, but I don’t think this is the climbing frame’s fault as such, but possibly because they jump like Spiderman from the next garden tier onto it, before shinning up onto the platform. On a flatter garden I think they would use it from the bottom and climb to the top in a more traditional, less monkey-like way! Wear-and-tear-wise we haven’t noticed anything detrimental so far, although I think it could do with an annual coat of weather-protection treatment just to keep it in tip-top condition. 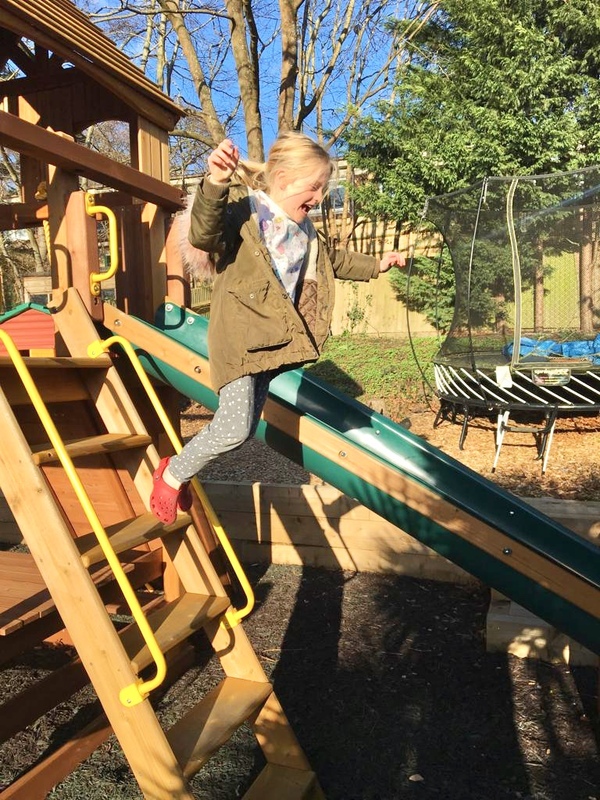 All-in-all it’s been a brilliant addition to the garden and the kids adore it. If our house move goes through it will be coming with us in a new setting- watch this space!